Construction work will soon commence, in Puerto de Santiago, on a three storey new Tourist and Cultural centre with a large urban park next to it. 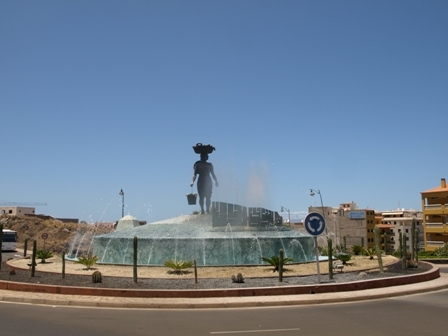 It is a local project with local financing and the plot of land allocated is situated on the new road between the fisher woman’s roundabout and the New Costa Los Gigantes Hotel. Plans are also in place to include a 432 seats theatre/auditorium on the third floor complete with dressing rooms, toilets, lifts, a box office and a terrace. On the lower floor will be a number of multiple-use salons and meeting rooms, a library with archives and a cafeteria. According to the Mayor, Juan Damián Ramos Gorrín at a cost of three million Euros, once completed the building is expected to be a key installation for the area.